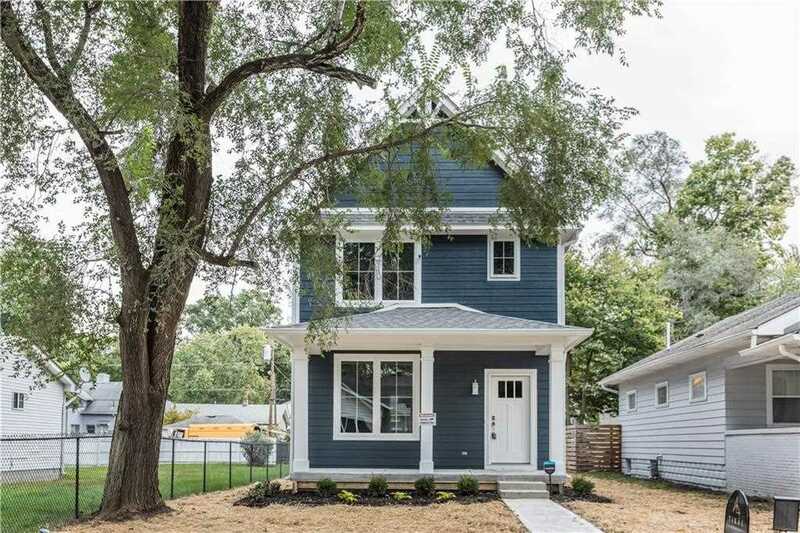 BRAND NEW ARTS & CRAFTS HOME IN HASSELAN PLACE FEATURING A COVERED FRONT PORCH,THIS 3 BEDROOM 2 1/2 BATH IS FULL OF MODERN COMFORTS. OPEN FLOOR PLAN, VAULTED CEILINGS UPSTAIRS, LARGE ISLAND/BREAKFAST BAR, TILED BACKSPLASH, RECESSED LIGHTING, LAMINATED HARDWOOD FLOORING,HALF BATH & MUD ROOM. SECOND FLOOR FEATURES MASTER SUITE, WITH LARGE WALK-IN CLOSET, AND DOUBLE SINKS IN MASTER BATH. 2ND & 3RD BEDROOM, 2ND FULL BATH. LAUNDRY HOOK UP. FULL BASEMENT WITH ROUGH-IN PLUMBING JUST WAITING FOR YOU TO MAKE YOUR OWN. SchoolsClick map icons below to view information for schools near 3443 Carrollton Avenue Indianapolis, IN 46205.